SAVE SALT, WATER & MONEY! PROTECT YOUR BIGGEST INVESTMENTS WITH AN APPLIANCE THAT PAYS FOR ITSELF! Hard water (calcium & magnesium) is a common problem for many homeowners and businesses. When hardness minerals are combined with heat it forms troublesome scale. Scale causes costly build-up in your plumbing, water heater and other water using appliances. When combined with soap, the minerals form soap curd or scum that makes skin dry and itchy, hair lifeless, laundry dull and build up on fixtures. 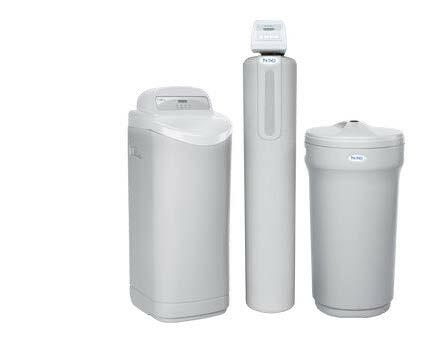 All About Water’s 485HE Series softener combines user friendly electronics with high efficiency technology to use less salt and water – saving you money! • Time saving quick connect fittings on bypass, drain & brine line. Power cord even has quick connect for easier installations.